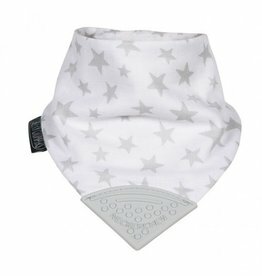 This Organic Chew Bib has you covered for your teething drooly baby! 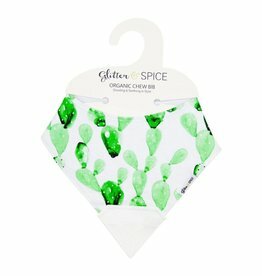 Glitter & Spice Chew Bibs are made from 100% soft organic cotton, which is the ideal fabric for your little's delicate skin. The custom Diamond shaped teether attachment is made from 100% food grade silicone which means there no harmful chemicals! 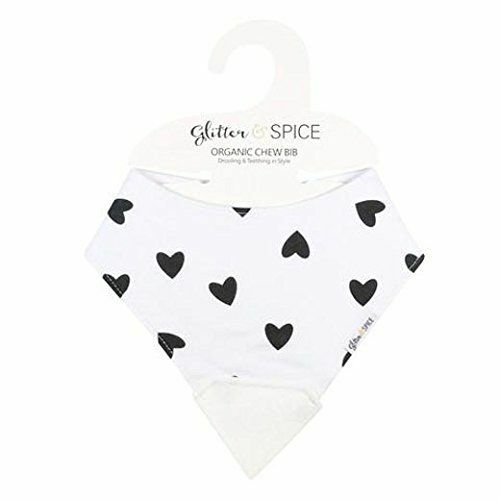 This stylish bib is perfect for any babe!